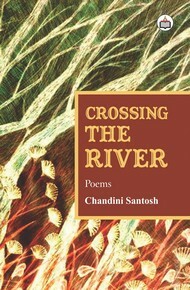 A poet-by-instinct and a spontaneous painter, Chandini Santosh has two solo collections of poetry and two much-appreciated painting exhibitions to credit. 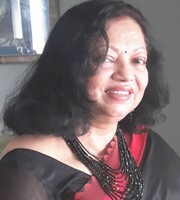 Her poetry is also published across half-a-dozen anthologies as well as in eminent journals like the Literary Survey by Kerala Sahitya Akademi and in ‘Inspired by Tagore’, (British Council-Sampad). Foraying into fiction, her short story, ‘The Day of Sacrifice’ was selected for the ELLE Random House Fiction Prize 2013. Her debut novel, The House of Oracles was published in 2016 to critical acclaim and readership.